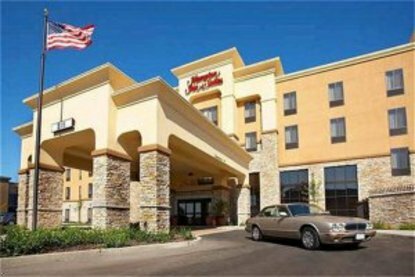 Welcome to the Hampton Inn & Suites Sacramento-Elk Grove Laguna I-5, California. Our beautifully appointed hotel is your headquarters whether you are visiting for business or pleasure. For the corporate traveler we offer complimentary High Speed Internet Access, both wired and wireless, a peaceful business center that includes a computer, copy machine, fax machine, color printer and a fitness center equipped with the latest in high quality exercise equipment. Our leisure guests will enjoy the outdoor heated pool and spa, guest laundry facility and easy access to major highways. Everyone will enjoy our new cloud nine beds, our complimentary On the House hot breakfast, and wonderfully appointed rooms with one king bed or two queen beds and our exceptional king studio suites that include a wet bar sink, refrigerator, microwave and sleeper sofa in the seating area. Whatever your destination you will enjoy staying with your new friends at the Hampton Inn & Suites Sacramento-Elk Grove Laguna I-5.